Crews are continuing to clean up this morning after a mixed bag of winter weather on Tuesday left a slushy mess in its wake. Ice buildup and high winds led to major issues for Toronto Hydro and on the TTC on Tuesday night. At the peak of the storm, about 10,000 Toronto Hydro customers were without power. 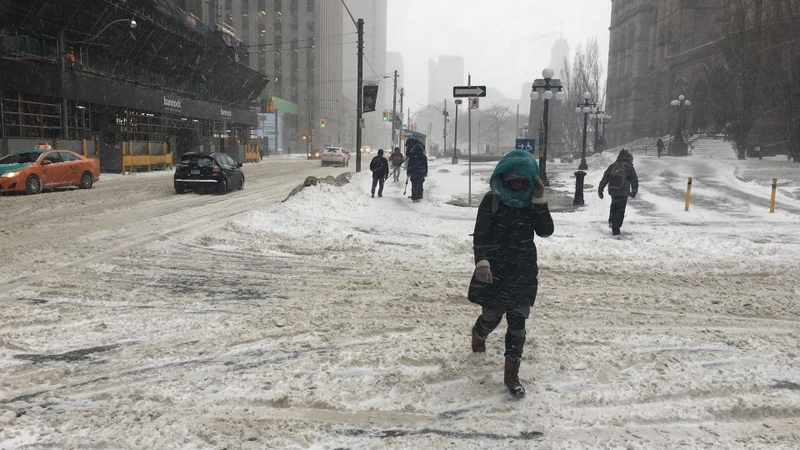 Speaking to CP24 on Wednesday morning, Toronto Hydro spokesperson Mallory Cunnington said as of 5 a.m., only about 200 customers were without electricity. “The ones that are (without power) likely have damage around their home or condo building that we are going to address today. We did see some high winds last night and the conditions were not favourable for our crews to be working. It was quite dangerous,” she said. Service on the TTC is also expected to return to normal on Wednesday morning after heavy ice buildup caused issues on streetcar lines and shut down the Scarborough RT last night. “Our crews have been working overnight, through the night, with our deicers,” Jessica Kosmack, a spokesperson with the TTC, told CP24. Regular streetcar service is expected to resume for the morning commute and regular operations should resume on the SRT. While the winter storm warning has ended for Toronto, Environment Canada has issued a special weather statement due to strong winds. According to the national weather agency, “strong southwest winds” are expected early this morning. “A cold front is sweeping through Southern Ontario with wind gusts to 80 km/h. The gusty winds will gradually weaken later this morning,” the advisory said. Mark Mills, the superintendent of road operations for the City of Toronto, said crews are focusing on plowing side streets this morning. 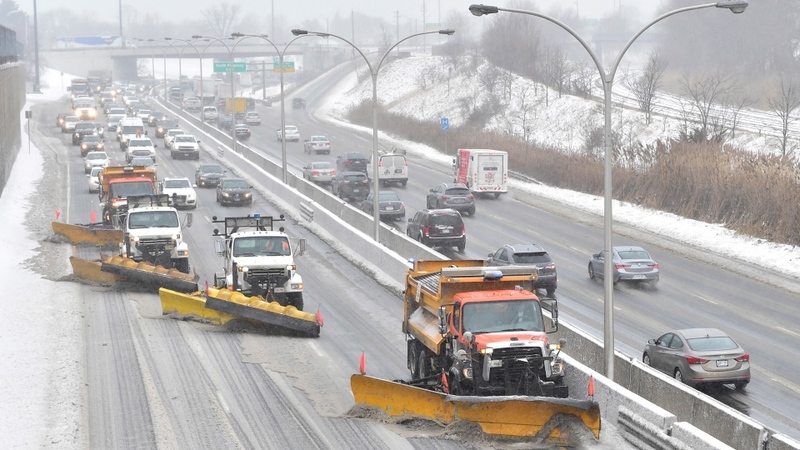 "Once they are plowed, they will be salted," Mills said. "We think they will be wrapped up early this afternoon or late evening." OPP Sgt. Kerry Schmidt said areas west of the city are seeing a significant amount of blowing snow. "You really need to pay attention," he said. "On days like today, you may not think that the weather is that big of a factor but it certainly is." The city’s medical officer of health said Wednesday morning that a an extreme cold weather alert previously issued for the city will end at noon. The alert, which triggers expanded shelter space for the homeless, was issued because of dangerously cold overnight wind chill values close to -20. However it won’t feel a great deal warmer in the city today. Temperatures are expected to fall to -5 C this afternoon. The wind chill in the morning will make it feel closer to -9, while winds in the afternoon and overnight will make it feel more like -15. Ice buildup caused issues on the TTC on Tuesday night.